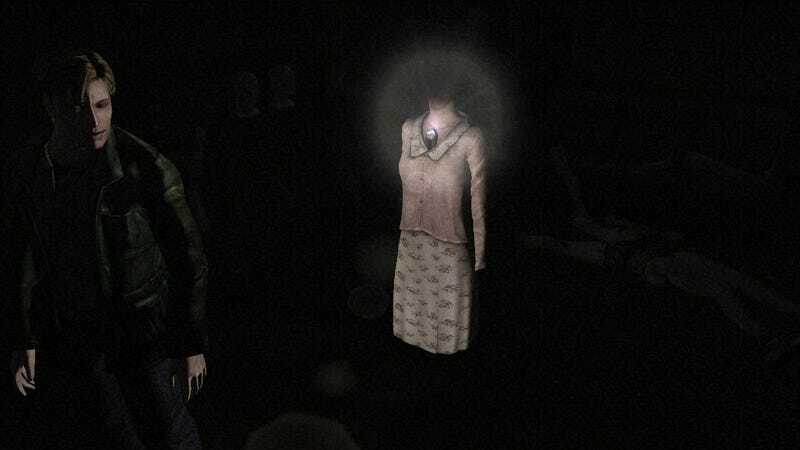 "Plans for an Xbox 360 title update," to Silent Hill HD Collection, "have been cancelled due to technical issues and resources," Konami said today in an official statement. A PS3 title update, however, has gone forward, and it will fix problems involving frame rate and audio-synching, "and other reported issues. "Konami apologizes to any players who are continuing to experience these issues on the Xbox 360 SKU," the company said in an official statement. Sounds like that means you can forget about any future patch for that console. Not sure what the behind-the-scenes story is here, why this game can get a fix on one console but not another. Konami last week announced it had finally patched in trophy support for the four-year-old, PS3-exclusive Metal Gear Solid 4, so complicated post-release fixes, years after the fact, are feasible on one platform. But it sounds rather definite that Silent Hill HD on the 360 isn't getting any fix or update, a situation that echoes Polytron's decision not to update a flawed Fez on that platform, either.